Great performance of a classic book! 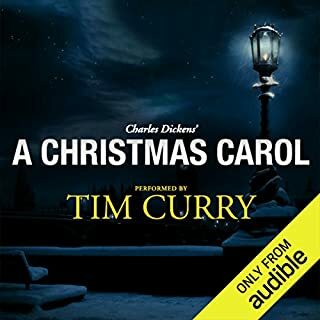 What made the experience of listening to A Christmas Carol: A Signature Performance by Tim Curry the most enjoyable? Curry himself! The language of the book, while mostly engaging and funny, can get a bit dry and poetic. Curry's acting genius really keeps the reader engaged through the drier parts of the book and keeps the story flowing. I think everyone has seen a version of A Christmas Carol sometime in their life, and would highly recommend that people read this version to go with. No screen version I've seen has made me care about Scrooge's relationship with Marley so much, and consider how that loss may have changed his attitude so much for the worse. The movies just portray them as business partners, and it never feels as deep as it does in the book. In the novel, Marley is obviously a close friend of Scrooge's, and at times feels almost like a mentor or older brother - someone who shares a deep affection with Scrooge, making letting go of their bond and moving on painful for both of them. Its an emotionally moving relationship that gives both characters more depth, and depth is always good. More creepy than Stephen King. This book was insanely chilling, and it really leaves an impression on you. The descriptions given of this dystopian nightmare future are so wonderfully lucid that it really puts you into the story, having the experiences with him. You feel with him the trust, the betrayals, the paranoia. The newspaper clipping, from beginning to end, was by far my favorite thread in this story. Prebble brings a real gravitas to parts of this story. He makes sure that you're realizing just how menacing things are meant to be. I won't lie, there are parts of this story that are downright boring. But the story around them is so good and so important that I barely noticed the bore. Didn't make me cry, but definitely makes you think. 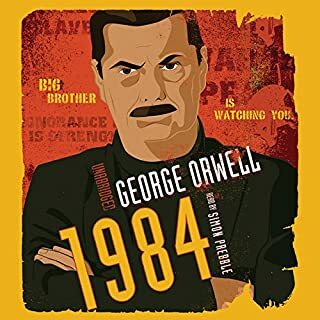 I've listened to this audiobook multiple times, and loved it each time! The premise of this book is a little bit farfetched (the old "we have to fake date each other because REASONS" trope), but that's what makes it such an enjoyable comedy. The characters are usually quite likeable, and the chemistry between all of them is what makes this book really shine. Michael Lesley narrated the first book in this series quite well, and this one was good too - sadly, the two narrations weren't consistent with character voices. Its a bit jarring to go from book 1 (Tell Me Its Real) to this one and have the voices change, but the voice acting is still good and its still an easy listen. This is definitely more on the "comedy" side of romantic comedy, but there's still a romance there that you want to root for, and I'm looking forward to seeing where the series goes! What made the experience of listening to State of Fear the most enjoyable? 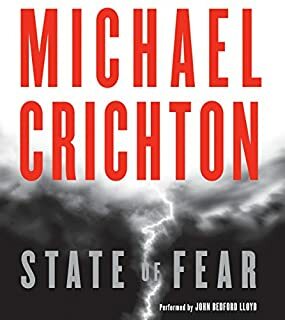 The story itself was engaging - it blends the mystery/thriller aspect of some of his other works (like Airframe) with the controversial science/equally controversial rejection thereof (like Malcolm in Jurassic Park). The book never got long winded, and didn't get too far ahead of itself - no "out of nowhere" twists, and the storyline seemed just off enough to be untrue, but that it COULD be true. His voice was good, the narration never got boring. HOWEVER, if you can't stand audible gum chewing, parts of this performance will drive you nuts. Also near the beginning of the book I'm pretty sure he pronounces a supporting character's name two different ways. Beyond the idea of global warming's existence or lack thereof, what this book seems to be promoting is the idea that if you support something, you should know what you're supporting. If you believe something, it should be because you've listened to both sides, not just your own echo chamber, and have made an informed decision. Saying "of course global warming is real, everyone knows that!" with no facts to back it up is as ill informed as saying "of course it isn't real, look at this snowball!" Know why you believe the things you believe. Make sure the "facts" you're familiar with aren't just the unverified opinions of someone with a wider social reach than average people have. Don't let your critical thinking ability be swept away by the peer pressure to believe in any old socially accepted thing solely because a large number of people support it. Verify, go for the least biased sources possible, and be skeptical. 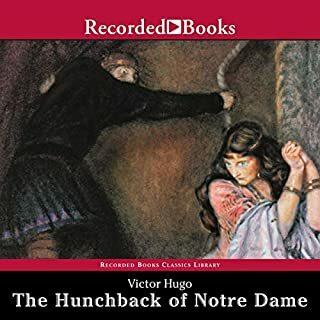 What made the experience of listening to The Hunchback of Notre Dame the most enjoyable? The story itself was enjoyable! Scary, in the way that the darkness of the human soul is scarier than any paranormal thing you could dream up. Audible chapters 7-8 are literally 80 minutes of architectural descriptions. Not only do they not effect the story in any noticeable way, they actually detracted from my enjoyment of the book, until I almost stopped reading. The strength of this book is in the characters, the feelings, the action. Skip to it and you'll be happier. 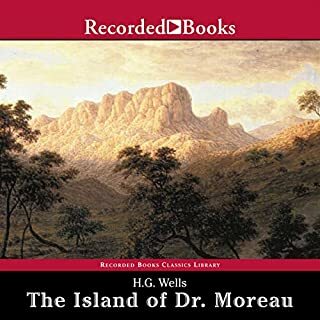 Would you listen to The Island of Dr. Moreau again? Why? I'd definitely listen again - its a bit too dry to be my go-to sci-fi book, but the descriptions are haunting to imagine, both of the people and the non. I actually enjoyed that no character in this story was good, redeemable, or even sympathetic, and that the author never attempts to portray them as such. The narrator does a good job with pacing and with setting the scene you're meant to be engrossed in. 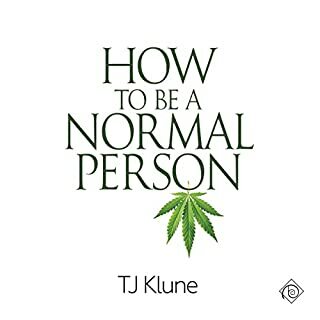 This book had a very weird vibe for me. I've loved a few other books from this author (The At First Sight series, specifically) and this one just doesn't stack up to those. It does have a little bit of the humor, and the side characters are as charming as the sides from either of those. A few moments were laugh out loud funny, actually. My problem in this story is the main character. He has an almost Norman Bates-like level of obsession toward his deceased father. He runs a business he seems to hate because it was his father's. His opinions on most things are just parrots of what his father thought of them. He even begins to wear his father's clothes. I wouldn't have been surprised if the book had ended in murder. The romance in this one is somewhat lacking as well. The main character falls in lust with the love interest right away while seemingly liking nothing about his personality. The love interest seems to genuinely like the main, though the things he says he likes about the main are all of the things that the main has done to change himself in order to win the affection of the love interest. It's uncomfortable and I honestly find myself rooting for a breakup for a good portion of the book. Overall, I made it 10 hours in and couldn't bring myself to finish. The narrator was pretty good. I just couldn't get through the book. Liam Rush has never ventured too far outside the fences of his family farm, so college is a pretty big deal for him. Now he can finally claim his own identity - one that doesn't involve football, hunting, farm work, or four overbearing brothers. But when he finds himself falling for the androgynous dancer at Trybe, where he works as a bouncer, things get confusing. He's never been attracted to guys before. Not really. And what would the folks back home say if they knew? 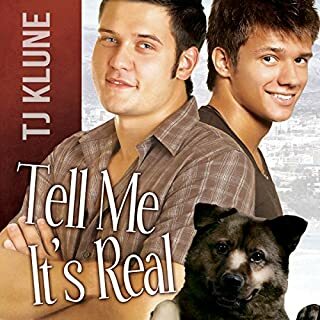 Favorite installment of my favorite gay series! Would you listen to Undeclared again? Why? I have already listened to it multiple times. The characters all stuck out for me, the narration is an easy listen, and I overall enjoyed the story enough to want to go back and listen. His voice is easy to listen to, and he puts just enough emotion into the characters and story without going overboard. He differentiates the voices, but not so much that they sound like cartoons. Sammy in general moved me more than I think he was supposed to as a supporting character. Without giving any major spoilers for any book plots, I'd say that Paul's bachelor party, the aftermath, and Sammy all made me emotional. Couldn't recommend this book more highly. There's definitely some drama, some potential overdrama, but I legitimately cared if these two people ended up together. The main couple. Rusty was likeable, Oliver was likeable, and yet I just never felt that there was a ton of chemistry between them. Rusty seemed to have a ton of chemistry with Rex, his college roommate, but at times he seemed to be going through the motions with Oliver because he loved being part of their family so much. I'd have liked to either see more care from him to Oliver, or for he and Oliver to have come to the conclusion that a first love with the only homosexual you know isn't necessarily your "forever love". Was Christmas Kitsch worth the listening time? In spite of my above comments, I do think it was worth a listen. Maybe just one, and I'm not sure if I'll be able to go back to it and fully enjoy it. But the side characters were funny and interesting, almost everyone was overall likeable, and the story itself is good. I have recommended it to friends. Its not exactly a hard-hitting poignant story that will change your life, but it is an enjoyable romantic comedy. Its quotable, all of the characters are likeable, and it legitimately made me laugh out loud at multiple points. What other book might you compare Tell Me It's Real to and why? Its sequel, The Queen & The Homo Jock King, obviously has the same loveable characters, and a similar sense of humor and story flow. I most enjoyed the lead-in to the first date - it was awkward and sarcastic and involved the real standout stars of this book, Paul, Vince, and Sandy. I think the narrator did a good job with differentiating the voices enough that you could tell who was speaking at any given point without making any of them sound cartoonish.